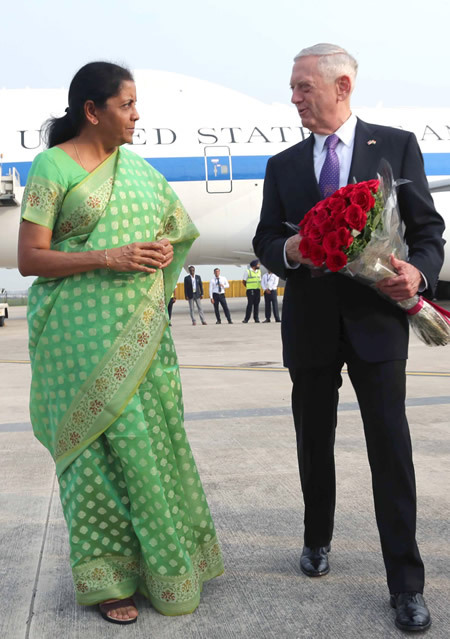 Photos: India’s Minister for Defence, Nirmala Sitharaman, receives the US Secretary of Defence, James Mattis, in New Delhi on September 05, 2018. 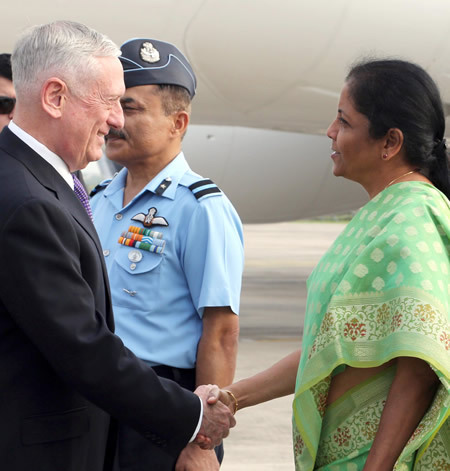 Mr. Mattis is in India for the first ever ‘2+2 Dialogue’ between the two nations. 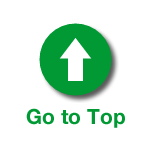 [Source: Government of India]. 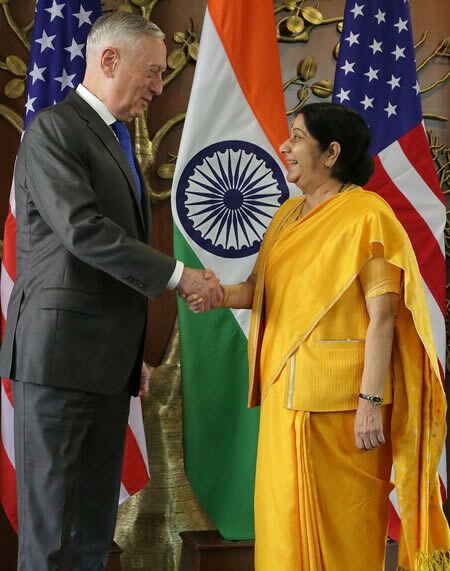 Photo: US Secretary of Defense James Mattis meets with Indian Minister of External Affairs Sushma Swaraj at the U.S.-India 2+2 Dialogue in New Delhi, India, on September 6, 2018. 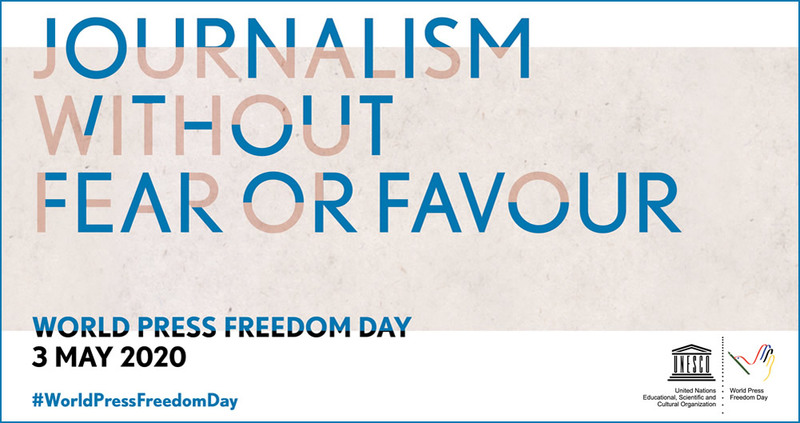 [State Department Photo]. 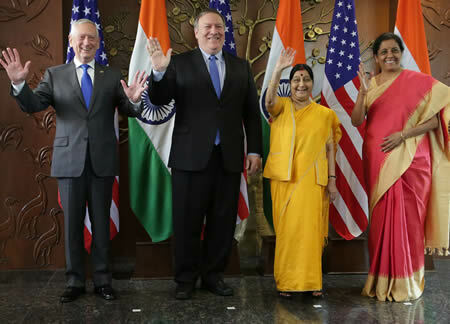 Photo: US Secretary of Defense James Mattis, US Secretary of State Michael R. Pompeo, Indian Minister of External Affairs Sushma Swaraj, and Indian Defense Minister Nirmala Sitharaman at the U.S.-India 2+2 Dialogue in New Delhi, India, on September 6, 2018. [State Department Photo]. Sources: Ministry of Defence, India & U.S. Department of State.